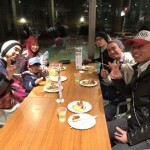 Halal takoyaki party was held at Kappou Yama. Kappou Yama is a halal certified restaurant. Takoyaki is ordinarily made by using pork extract and alcohol component for dashi (sweet sake called “mirin” used for seasoning), sauce and mayonnaise, for this occasion, it was made without using any of these ingredients. 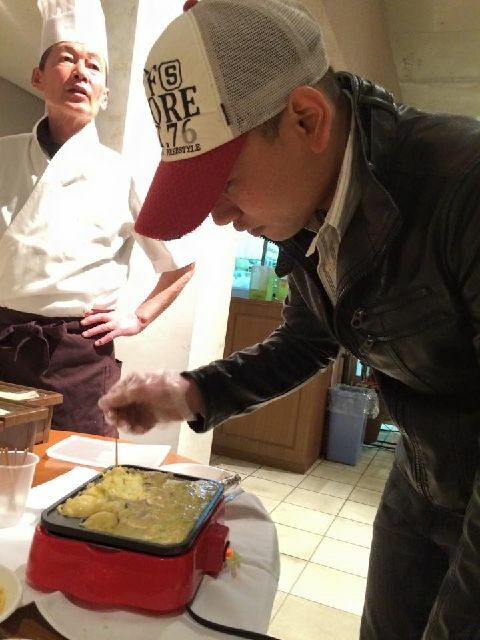 Of course, Muslim person is making takoyaki!! 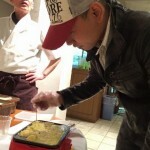 Participants made and ate their own takoyaki under the instruction of Kappou Yama Chef. 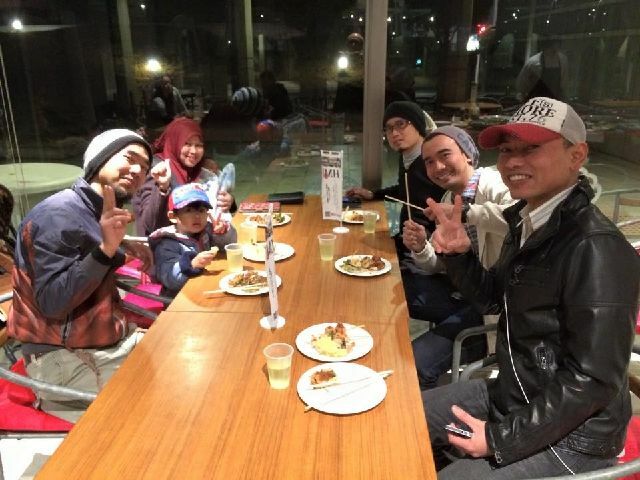 Many people said it was their first time eating takoyaki. Aside from takoyaki, the participants ate yakitori, okonomiyaki, tempura, etc., but since everyone became so full, they took a lot of left overs home in a take-out bag. Everyone was fully satisfied with the event. 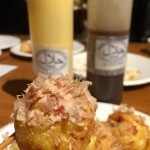 How to make a halal takoyaki? Mix all of the takoyaki liquid ingredients together. Make sure to mix them thoroughly so that there aren’t any uneven chunks. Remove takoyaki balls on to the plate when the surface of each balls are looking lightly brown here and there. 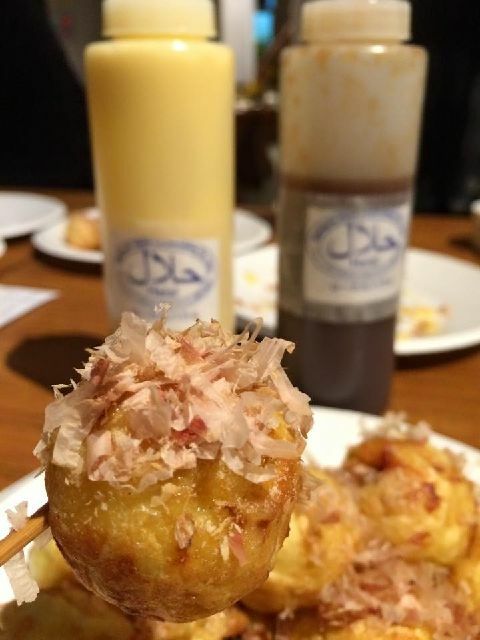 After you pour the sauce, mayonnaise, green dried seaweed and shaved dried bonito, takoyaki is ready to be served!